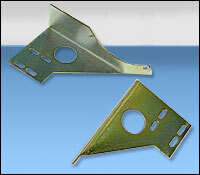 AR Metalcrafters is a Precision Sheet Metal Fabricator and a Custom Sheet Metal Fabricator. Using our main capabilities - highly-skilled and experienced operators, state of the art equipment, and lean manufacturing production techniques - AR Metalcrafters is able to reliably serve our customers with quality precision sheet metal fabrication work. We can work with you in two ways. If your product or project can benefit from our years of experience in custom sheet metal fabrication, we would be happy to work with you to assist in your design process. We are ready to provide competitive quotes from your engineering drawings and specifications. We are ready to produce high quality components, on time and backed by our excellent customer service. We can fabricate any sheet metal component, from simple brackets to complex welded assemblies in materials ranging from 24 gauge to 7 gauge carbon steel, stainless steel and aluminum. We can produce quantities varying from prototypes to large production runs of thousands of pieces. As a precision sheet metal fabrication expert, AR Metalcrafters is fully aware of the precision requirements for your project. 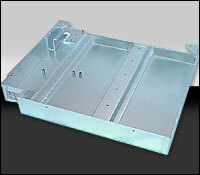 We make sure the sheet metal components that we produce for you are within your specification. We are also aware that unnecessarily high precision can add to the cost. For example, we typically fabricate electronics components to +/- .005”, while a metal furniture component may only require +/- .015”.